Russian investigators determine crashed airliner exploded after hitting ground, Russian News Agency TASS reports. Investigators have concluded that the Antonov An-148 aircraft that had crashed outside Moscow on Sunday did not break up in mid-air, but rather the explosion occurred when the plane hit the ground, Investigative Committee Spokeswoman Svetlana Petrenko said. “It has been established that the aircraft was intact at the time of its descent and there was no combustion. The explosion occurred when the plane hit the ground,” the spokeswoman said. “The content the flight recorders will enable experts of the IAC [Interstate Aviation Committee] to reconstruct the flight in detail and determine the cause of the crash,” Petrenko explained. Investigators are conducting searches and impounding documents at the office of Saratov Airlines, including the documentation on the plane’s maintenance and technical examination, and the crew’s medical checkup, she said. “The investigators have obtained fuel samples, the files of radio exchanges between flight controllers and the plane’s commander, the files of the system tracking the airliner on the ground and in the air, along with the radar’s electronic data on the plane’s flight,” the Investigative Committee spokeswoman said. The probe involves over a hundred employees from the Investigative Committee who are working in several Russian regions, Petrenko said. Both flight recorders have been found at the Antonov An-148 crash site in the Moscow region as of now, a source in the Interstate Aviation Committee (IAC) also confirmed to TASS. “Both the parameter and voice recorders have been located,” the source stressed. The flight recorders are severely damaged but decoding is presumably possible, the source confirmed. “They are both damaged,” the source said, adding that it was presumably possible to decode them. The recorders will be delivered to the laboratory shortly. “The flight recorders will be open as soon as they are delivered, so tonight it will be possible to say for sure if they can be decoded,” the source noted. A criminal case is being pursued under Article 263.3 of the Russian Criminal Code (violation of security requirements while using aircraft, resulting in the death of two and more persons through negligence). On February 11, an Antonov An-148 passenger plane operated by Saratov Airlines (en route from Moscow to Orsk, in the Orenburg Region) that had departed from Domodedovo airport vanished from radars a few minutes after takeoff. 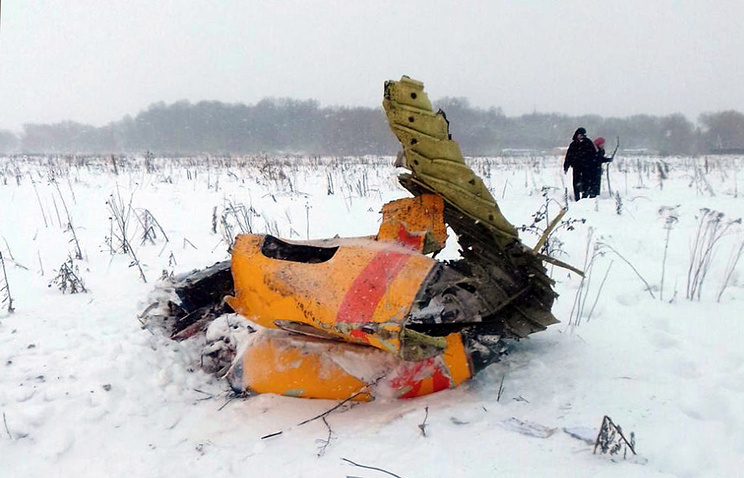 Fragments of the plane were found near the village of Stepanovskoye in the Moscow Region’s Ramensky district. There were 65 passengers and six crewmembers onboard the passenger jet. There were no survivors. According to latest updates, rescue workers have found more than 300 fragments from the plane at the crash site.